Welcome on a student tour to Cambridge. All times are given as a guideline and depend on circumstances on the day. 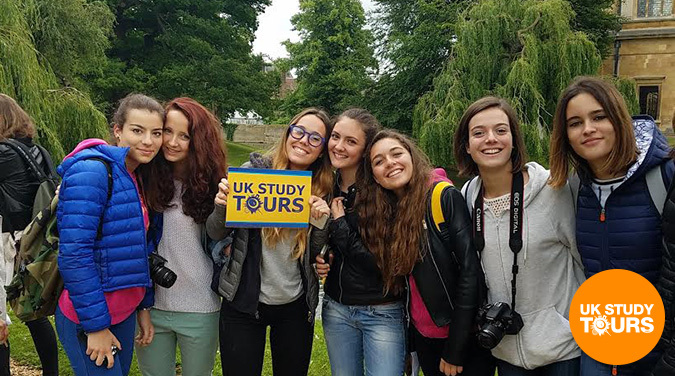 On the walking tour with your guide you will be shown some of the finest University buildings plus the museums and churches in Cambridge. 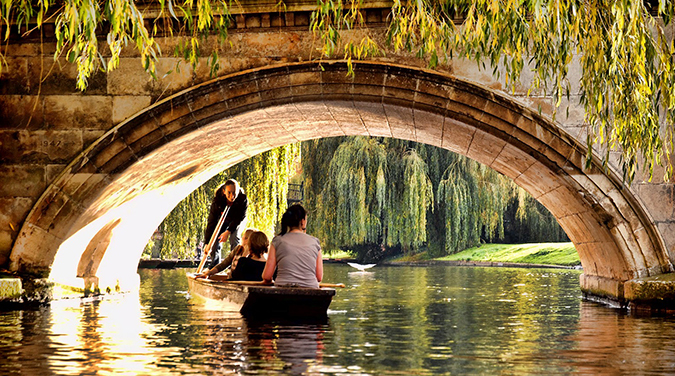 You will also see the River Cam and witness some of the people punting along the river. Other sights include the graduation building called Senate House and on Saturdays the outdoor market. 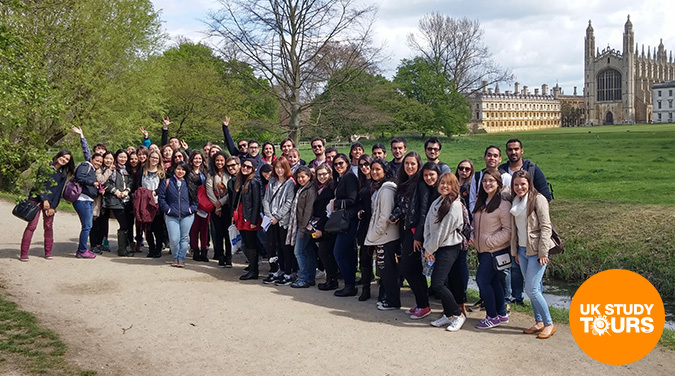 When the tour finishes you will have between 3 and 4 hours of free time for lunch and an opportunity to go inside some of the University Colleges (entrance cost may apply) or the museums (free) or maybe try punting along the River Cam (extra cost) or simply go shopping for souvenirs and gifts. Cambridge is home to one of the oldest universities in the world. For over 800 years, people have travelled from all over the world to study and visit this wonderful city. With its beautiful college buildings, museums and churches, Cambridge is a joy to visit for tourists and students alike. 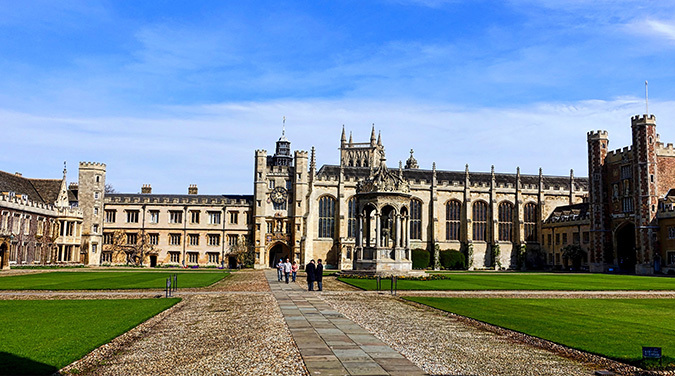 Cambridge is a small city with a population of just 100,000 which includes 23,000 students, even though the city is dominated by its ancient university it is also home to some of the most high tech companies in the world and is also home to Microsoft research offices. Whether it’s the history of the university or a chance to visit the market and surrounding shops, Cambridge is a great place to visit. There are over 28 colleges that help make up the University of Cambridge. 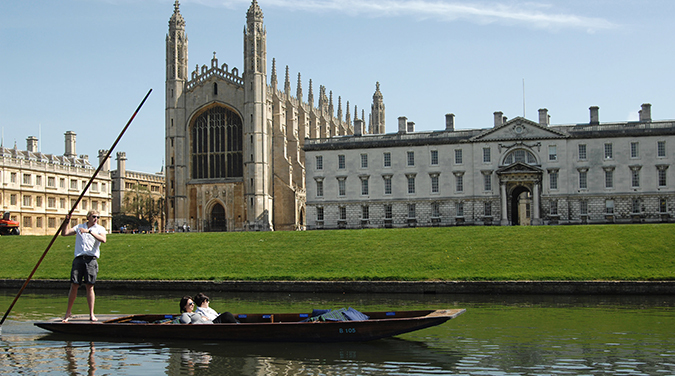 Many of the colleges are open to the public but perhaps the most interesting college to visit is Kings College. Kings College was founded in 1441 by King Henry VI shortly after completing Eton College near Windsor. 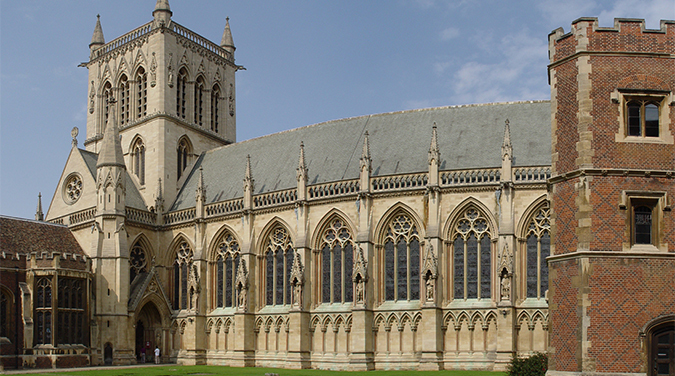 The college, one of the largest in Cambridge, is dominated by its late gothic chapel, celebrated for its large fan vaulted ceiling and stained glass windows. This is the university museum and was founded in 1816 by Viscount Fitzwilliam. He left his private collection to the university and also provided the funds to construct the building. 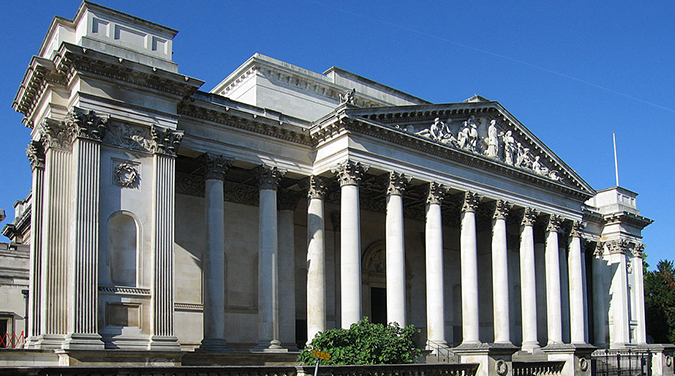 Over the years the museum has been extended and is well known for its Egyptian galleries and it works of art by Rubens, Constable, Degas, Renoir, Raphael and Gainsborough amongst many others. A punt is a flat bottomed boat designed for use in shallow rivers. The punt is propelled by pushing a long pole along the floor of the river bed. The area around Cambridge is very flat, therefore the river was very shallow and the punt became a perfect form of transport for goods and people. 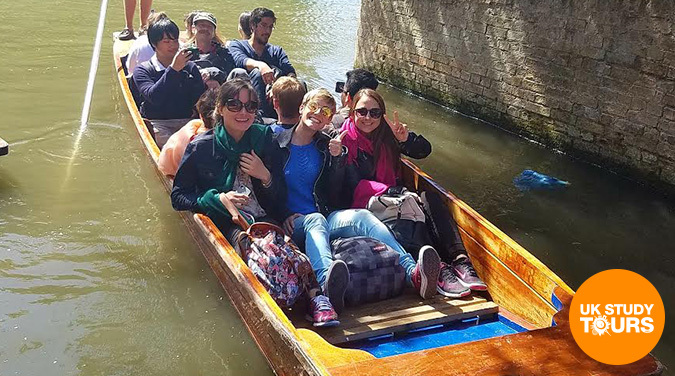 Today punting is a popular leisure activity and can be done from various places along the River Cam. The bridge on Silver Street is where the main punt companies are based. There are only four round churches that can be found in England and this one dates back to the early 12th century and was inspired by the Church of the Holy Sepulchre in Jerusalem. Today the church building is too small for its congregation, who moved to a larger church nearby, so the building is now used to tell the story of Cambridge through video and an exhibition. Cambridge still retains its market place. Stalls have been trading on the Market Square since Saxon times. During the week you will find books, clothes and bric-a-brac as well as fruit and vegetables. On Sundays there is a flourishing Farmers Market selling local organic produce. Arts and Crafts are available all the year round at the All Saints Market, where local craftspeople sell their own handiwork. Other things to do: Why not pop in to The Eagle pub for lunch, see the graffiti left by airmen from WWII? This was also the place where Watson and Crick announced to the world they had discovered ‘The secret of life’ or the structure of DNA in 1953. After lunch, take a walk on Parker’s Piece, one of Cambridge’s most significant open spaces. Cambridge played a unique role in the invention of modern football where the games first set of rules were drawn up by members of the University in 1848. The Cambridge Rules were first played on Parker’s Piece and had a defining influence on the 1863 Football Association rules. Optional extras are also available, but they are not included in the tour price.